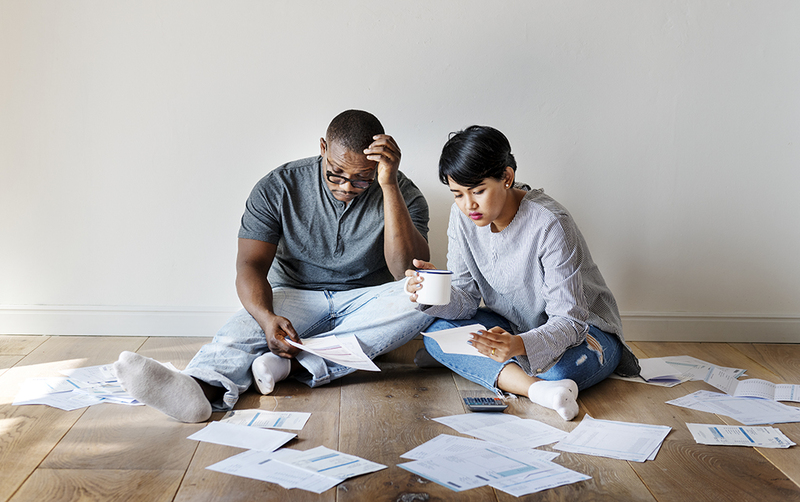 Financial setbacks come in all shapes and sizes -- from losing a job to an unexpected trip to the hospital or a car accident that your insurance didn't cover. There are so many possible paths to arrive at that crossroad. Everyone, at one point or another, is likely to face a financial setback of some kind. How you handle these setbacks and recover from them are crucial to you and your financial health. Taking these steps can get your finances back on track for the future. Provide clarity into your setback. Highlight what went wrong and find the root cause of it. Identify what may cause a setback in the future. You’ll want to consider how continued reliance on credit or payday loans as well as lifestyle choices are impacting your financial picture. The principal reason people face a personal financial crisis isn’t that they don’t earn enough, but that they don’t save enough. The best way to avoid or deal with a financial crisis is to develop and follow a budget. If you have a budget, it may be time to re-evaluate. Keeping track of all the money coming in and going out will help you better understand if you are overspending or living beyond your means. It can also help you build a savings plan to anticipate future expenses. Keep in mind, while it’s easy to create a budget, you need to follow that budget moving forward to be successful. Getting a head start on cutting your expenses can help offset a future financial crisis or setback. If you’ve been considering cutting cable or canceling your gym membership, now may be the time to do so. Are you purchasing a coffee every morning on your way into work or going out to lunch multiple times per week? Consider making a cup of coffee at home and packing a lunch. These are just a few of the ways you can help cut out excess spending that can add up quickly. Don’t let the fallout of a financial setback break you. Throughout the recovery process, you must keep in mind that these changes won’t happen overnight. Don’t let your past financial mistakes haunt you; stay focused on the future. There are a number of different avenues you can use as help to conquer and curtail a financial setback. One of the most important things you can do during a financial setback is talk to someone. Whether it’s someone as simple as a friend or family member, or calling creditors to put together a plan, keeping the lines of communication open are vital. You can proactively reach out to creditors if you foresee a potential issue in your path to help minimize the impact. If you’re currently using a financial advisor or wealth management specialist, it’s especially important to stay in contact with them throughout this process. Remember, there’s always someone you can talk to about your financial situation. While suffering a financial setback can be detrimental to your well-being, it’s important to remember to get back to what makes you happy. Find new and exciting things to do that won’t hurt your budget. Getting back into a routine of doing things that make you happy can help keep you on the right track to financial wellness. The best part about a plan is that it can always be adjusted. No one plan is perfect or going to anticipate all financial situations. However, a plan is important because it can show you what success looks like and how you can achieve it. Plus, it can put you on a path to avoid a crisis in the future. Start with setting small, obtainable goals that you can achieve along the way to keep you motivated as you work towards a healthier financial future. At the end of the day, it’s important to remember not to be ashamed of a financial setback. These things happen and often times are completely out of your control. As you look to handle or avoid a setback, know that the team at LOC is here to help you with the necessary steps to assist in keeping your finances in order.